What is it about portraits…? In spite of the fact that I can’t pronounce it, I eagerly look forward to the biennial Outwin Boochever Portrait Competition with bated breath. 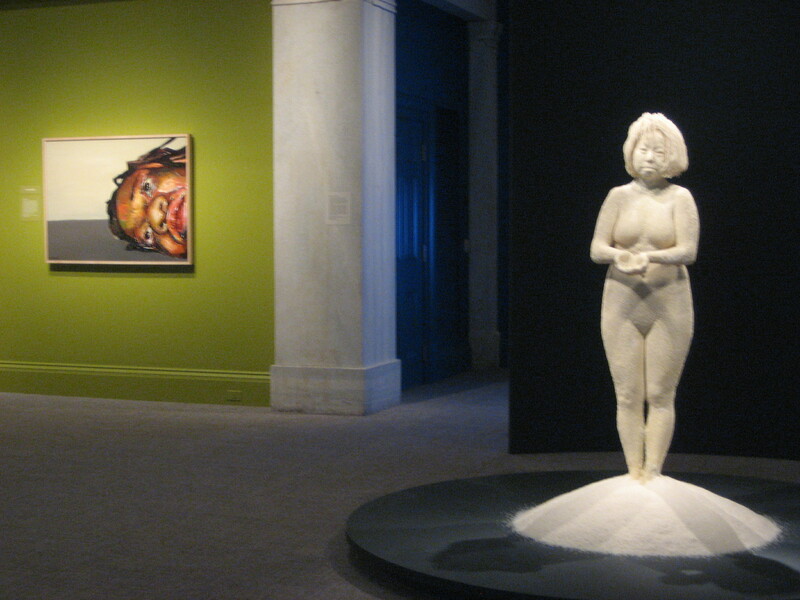 The National Portrait Gallery hosts this phenomenal show every two years. Many moons ago, portraiture was once confined by strict rules and rigid parameters. No more. 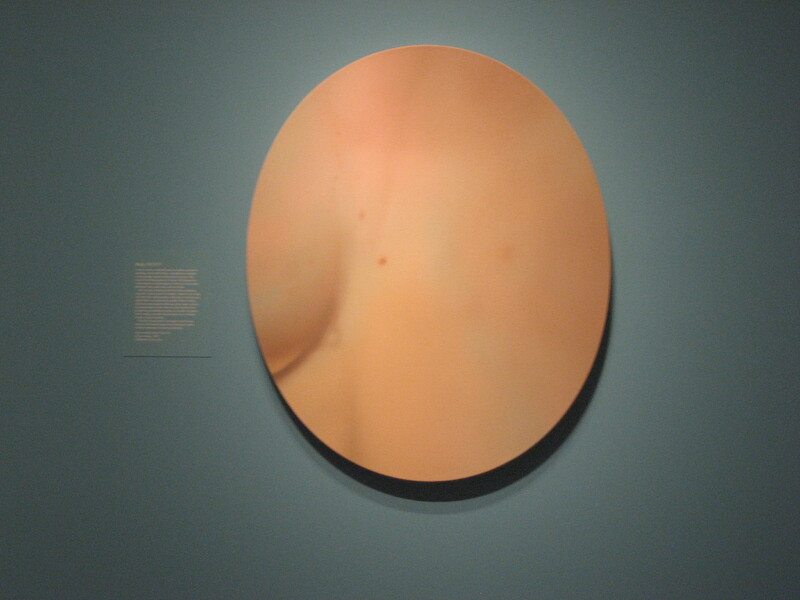 This year’s 48 finalists, chosen from thousands of entries, covered the gamut of traditional oil paintings, photographs, video (first prize winner Bo Gehring), animation, rice sculpture, thread portraits and one portrait had no face at all, just an oval canvas revealing the few inches of skin between the artist’s breasts. I just love portraits, and that is probably why I haven’t yet burned out on preparing for my upcoming solo portraiture show at Crossroads Gallery this July (details forthcoming but mark your calanders July 13, 2013!) The Outwin Boocher competiton catalogue begins with the sentence: ‘A portrait has the power to stop us in our tracks.’ I couldn’t agree more. I get swallowed into a good portrait, sensing the sitter, feeling the connection between artist and sitter and enjoying the unexpected introduction to a stranger who, by becoming the subject of a portrait no longer feels like a stranger. I have to borrow from artist Bly Pope’s words because I could not have come up with a more beautiful way of expressing the power of a portrait: ‘ The human face is a lyrical and mysterious landscape.’ I strongly suggest that you take yourselves to the National Portrait Gallery in Washington DC – the show is on till 2014, so no excuses! I’m also very excited about my new collaboration with the Susan Calloway Fine Art Gallery in Georgetown who will be exhibiting some of my works, including this small Parisian cafe scene, which, since we’re on the subject of portratis, could be viewed as a double portrait.